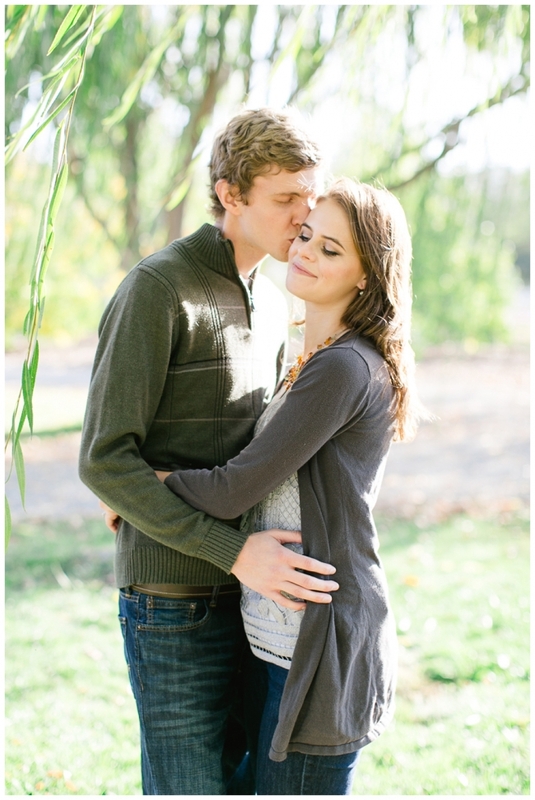 Maddie + Mark // Engaged!! To say that I love the Santa Ynez valley would be an understatement. The weather is just always perfect, the sun shines in the loveliest ways, and it is perfectly secluded and private. It is magical. Always. 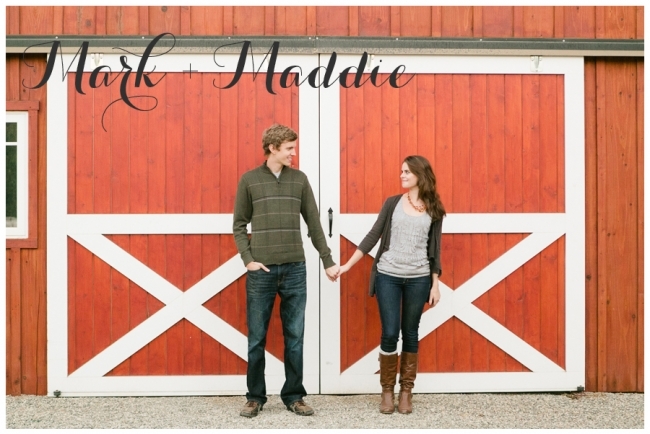 So when Mark and Maddie said they wanted their engagement pictures in Santa Ynez, I was overjoyed. They wanted their engagement session at the same location as their wedding venue, which is actually Maddie’s family home, but honestly you couldn’t dream up a better wedding location if you tried. It seriously looks like Martha Stewart must live there. There is a barn, chicken coup and a little green house. Her Mom even gave me a bag of freshly baked cookies to take home for Matt (my husband). See? Martha Stewart status! Mark and Maddie are so happy and excited to be getting married and I adored capturing their love in such a gorgeous setting. I shall now stop gushing so we can get to the good stuff– the pictures! 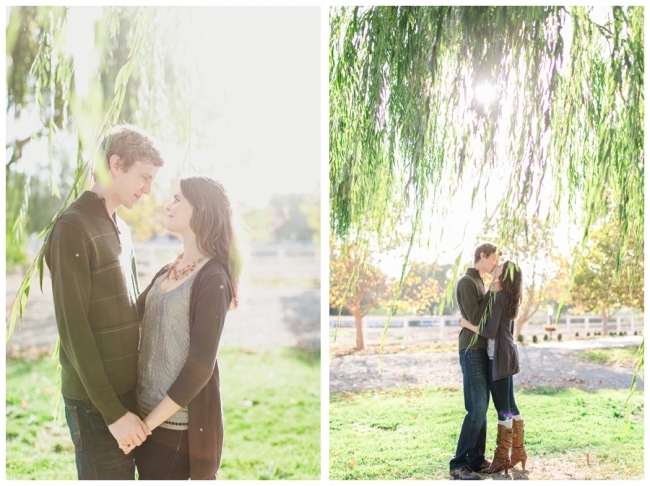 I LOVE this willow tree! Swoon. These changing leaves were just so pretty! Is her ring gorgeous or what? See? This sunset was magical! Congratulations Mark and Maddie! I can’t wait to go back for your wedding!